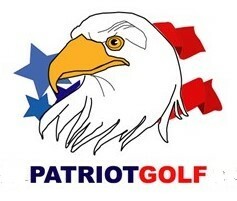 Watch the short video taken at a clubfitting school I conducted for some AGCP members a short time ago. This is a good illustration of who weight influences a golf swing and the results of that influence. Note that Steve does not consciously feel the change in weight even while it changes his swing path and face angle at impact. Just picking up a club and waggling it will not tell you if the club has the right weight and balance for your swing. Weight is possibly one of the most critical elements in golf club fitting. Along with length the weight of your golf club and how the weight is distributed (balanced) is critical to having the best posture and making the best swing possible for your athletic ability. If you’ve ever played baseball think of a baseball bat and how differently it feels when you grab the handle and swing it and when you grab the barrel and swing it. Changing where the weight is changes your ability to swing it with control and how fast you can swing it. I believe we can explain this as Biomechanics. ‘Biomechanics’ is the application of mechanical principles on living organisms. This includes research and analysis of the mechanics of living organisms and the application of engineering principles to and from biological systems. This research and analysis can be carried forth on multiple levels, from the molecular, wherein bio-materials such as collagen and elastic are considered, all the way up to the tissue and organ level. Some simple applications of Newtonian mechanics can supply correct approximations on each level, but precise details demand the use of continuum mechanics. The U.S. Department of Labor reports that individuals with a masters in bioengineering (including bio-mechanics) are in a field that is growing faster than average, and the number of degrees held is increasing. Acrobats create balance by positioning their center of gravity (mass) directly over their base of support, ie, shifting most of their weight over their legs, arms or whatever part of their body they are using to hold them up. When they are on the ground with their feet side by side, the base of support is wide in the lateral direction but narrow in the sagittal (back-to-front) direction. In the case of high wire-walkers, their feet are parallel with each other, one foot positioned in front of the other while on the wire. Therefore, a tight wire walker’s sway is side to side, their lateral support having been drastically reduced. In both cases, whether side by side or parallel, the ankle is the pivot point. A wire-walker may use a pole for balance or may stretch out his or her arms perpendicular to her trunk in the manner of a pole. This technique provides several advantages. It distributes mass away from the pivot point and moves the center of mass out. This reduces angular velocity because her center of mass is now swinging through a longer arc. It takes longer to sweep out the same angle because the center of mass has a longer distance to go. The result is less tipping. In addition, the performer can also correct sway by rotating the pole sideways. This will create an equal and opposite torque on her body. Sometimes the pole is weighted and has a dip at the ends. This provides additional stability by lowering the center of mass. Just as an acrobat or a tight rope walker uses weight, the placement of weight, center of gravity and moment of inertia to help them with their balance to perform their sport so too a golfer can adjust the same elements in a golf club to achieve better balance in their golf swing to achieve optimum performance. How about a little experiment to give you an illustration. Try grabbing a piece of re-bar and taking a back swing with it (if you have a momentous club you can use it). Whoa! Does it drag over your back foot well inside? Of course it does, it is a lot heavier then a golf club. OK, now grab a wooden dowel about the size of of a golf shaft and take a back swing with it. Did you pick it up with your right hand on an outside to inside path? I’ll bet you did because it is so light in weight. My first goal is to find the proper total weight for your golf club to get your swing path as close to in line with the target as possible. This is done primarily with shaft weight because golf shafts weight between a high of about 130 grams for a steel shaft to a low of about 45 grams for a graphite shaft for a driver. The lightest shaft is almost 1/3 the weight of the heaviest shaft. That can make a big change in your swing path. Once we find a total weight that gets your swing path as good as your swing will allow, we begin working on head weight to align the face angle of your club to the swing path. Changing the head weight on your clubs (this is measured by swing-weight or MOI) will determine how much your shots curve in flight. If you swing path and face angle are in alignment you will hit a straight shot. Perfect alignment will not hook or slice, it will go straight. Not only that it allows you to use the design the way it was intended and get a better trajectory on your golf shots. If your face is open at impact you will get a fade or a slice and the loft will be artificially high and produce a too high shot. If your face is closed at impact you are delofting the club and you will get a draw or hook on your shot. This is all in addition to the data that allows us to find the correct length for your clubs, the correct lie angle for your clubs and the best flex and shaft profile for your clubs. The final result is you will hit longer and straighter shots with my fitted clubs. You will hit more fairways, you will hit more greens and your shots will be closer to the hole when you do hit the greens. More fairways hit will result in more greens hit and closer to the hole will result in fewer putts and a reduced score. We will also evaluate what clubs you need in your bag to give you the best combination of Woods, hybrids, irons and wedges to give you the clubs you need for your lowest scoring potential. The same physics apply to your putter also and we will evaluate your putter and make adjustments or produce a new putter that helps you reduce the number of putts per round for your game.